AEGEE (Association des Etats Généraux des Etudiants de l'Europe) is a voluntary, secular, non-profit, not linked to any political party association represented by students in Europe. AEGEE promotes an unified Europe without prejudices, strives for creating an open and tolerant society of today and tomorrow as well as fosters democracy, human rights, tolerance, cross-border cooperation, mobility and European dimension in education. ESN and AEGEE have always shared many goals and objectives. In the last years the collaboration has been strengthened substantially by improving the collaboration on EU level and supporting each others’ projects. ESU - The European Students' Union is the umbrella organisation of 47 national unions of students from 39 countries (May 2013). The NUSes are open to all students in the country regardless of their political conviction, religion, ethnic or cultural origin, sexual orientation and social standing. They are run and controlled by students, that hold democratic elections, act autonomously and independently and as representative decision-making bodies. The aim of ESU is to represent and promote the educational, social, economic and cultural interests of students in Europe towards all relevant institutions and in particular the European Union, Council of Europe and UNESCO. ESN is associate member of ESU and collaborates in advocacy efforts on the European level. IFISO (Informal Forum of International Student Organisations) is an informal forum for international officers of pluralistic, "non-political" and not-for-profit international (worldwide, European, etc.) student-run organizations. IFISO is an international network of global or European Non-Governmental Organisations (NGOs) and provides a platform for these NGOs to share best practices, but also to pursue common aims, often by cooperating. IFISO consists of 27 associations, representing more than 2 million students around the world. The forum meets twice a year to discuss common interests and share good practices face to face. Erasmus Student Network established a partnership with Euromobility Network in October 2013. We work on common synergies related to mobility issues especially Erasmus Placement. 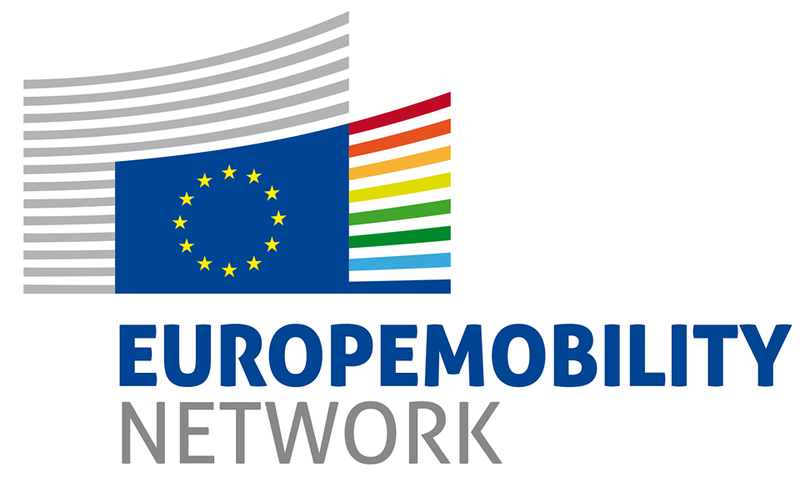 The Europemobility Network is an umbrella of organisations working on the promotion and improvement of mobility experiences. ESN is part of this organisation to create space for networking and collaboration on a range of projects such as their annual video contest. Erasmus Student Network collaborates with European University Foundation on annual basis in different student mobility and rights projects. The European University Foundation (EUF), with headquarters in Luxembourg, constitutes the parent organization, the "umbrella", of the intended alliance of European universities. The foundation assumes central functions of coordination for the universities. The alliance is set up by cooperation contracts between the foundation and individual universities. A prerequisite for intensive and successful collaboration among the universities is a high degree of individual freedom of action. The WYSE global community is the world’s most powerful and extensive network of youth and student travel professionals, consisting of more than 600 members from 120 countries. WYSE members collectively serve 30 million young travellers each year and are committed to understanding their travel motivations and needs and making travel experiences safe, accessible, affordable and life-changing. WYSE is a dynamic global network of travel professionals, industry representatives, policy influencers, government officials with the latest market intelligence to serve young travellers across the globe. ESN is since 2015 an NGO member of the WYSE Travel Confederation. EMA is an international organization that links students and alumni in all Erasmus Mundus Masters Courses - representing almost 100 joint masters’ courses (across various academic disciplines) and in 200 European universities. EMA serves the interests of alumni and students, notably by providing a forum for networking, communication and cooperation - and by promoting Erasmus Mundus as a European programme of excellence in international education. Friends of Europe and Europe's World, in partnership with the European Parliament, Microsoft and Gallup, are proud to announce an innovative online debate platform that lets YOU submit YOUR policy ideas directly to Europe's leaders on the vital issues shaping our future: Growth, Green, Tech, Global and Future. We put ideas and suggestions straight to influential thinkers and policymakers for their support or criticism. The outcomes will be synthesised into policy recommendations to be presented to Europe's political leaders and summarized in Europe's World. Erasmus Student Network cooperates with Think Young since June 2012. Think Young lobbies for the presence of young people in European decision-making. Focused on conducting surveys, organising conferences, producing documentaries and publishing research by young europeans, ThinkYoung aims to make “Brussels” aware of what young people think. Its vision is to make Europe think young. LEO-NET is a dynamic network committed to increase sustainable employability within Europe and beyond. The 100 members of the network are higher education institutions and intermediate organizations. All members consider sustainable employability of their alumni of paramount importance. Therefor LEO-NET offers its members information, inspiration & tools to improve the connection between students, graduates and employers. LEO-NET was founded in 1999 and grew. Today it has become a valuable and trusted partner to its members, governing bodies (e.g. European Commission, National agencies), peer organizations (e.g. ESN, Santander Group, Compostela Group), students, graduates and enterprises. The Scout Movement is a voluntary, non-partisan educational movement for young people. Scouting is open to all, regardless of race or creed, in accordance with the purpose, principles and method conceived by its founder Robert Baden-Powell. Its purpose is to contribute to the development of young people in achieving their full physical, intellectual, social and spiritual potential as individuals, as responsible citizens and as members of their local, national and global communities. Scouting operates through a network of local groups supported by National Scout Orgaizations (NSO) in 155 countries. The European Network on Independent Living signed a cooperation agrement with the Erasmus Student Network in February 2014 in the framework of their collaboration in the ExchangeAbility and Mapability project. A multidimensional, user-driven approach to international ranking of higher education institutions based on empirical data. Erasmus Student Network signed a cooperation agreement with U-Multirank in November 2013. In contrast to most well known rankings, U-Multirank not only focuses on research. It also takes into account other aspects like teaching and learning, research, knowledge transfer, international orientation and regional engagement. Furthermore no composite overall indicators are being calculated since those are seen as not very robust. Finally the methodology combines institutional ranking (of whole institutions) with field-based rankings that focus on particular academic disciplines or groups of programmes. The 112 Foundation was created to save lives by promoting the knowledge and appropriate use of the European emergency number 112. The 112 Foundation was proposed and established by EENA - the European Emergency Number Association - in cooperation with its Advisory Board. Its main objective is to offer campaign materials to all citizens and organisations willing to inform and educate on the 112.There are at least 60 emergency numbers across the European Union. But only the 112 offers direct access to emergency services everywhere in the European Union and for all emergencies (police, fire service and ambulance). The European Disability Forum signed a cooperation agrement with the Erasmus Student Network in February 2014 in the framework of their collaboration in the ExchangeAbility and Mapability project. The Autism Europe signed a cooperation agrement with the Erasmus Student Network in February 2014 in the framework of their collaboration in the ExchangeAbility and Mapability project. Autism-Europe is an international not-profit organisation whose main objective is to advance the rights of persons with autism and their families and to help them improve their quality of life. Autism-Europe has ensured effective liaison among more than 80 member associations of parents of persons with autism in more than 30 European countries. The organisation also plays a key role in raising public awareness, and in influencing the European decision-makers on all issues relating to the rights of people with autism and other disabilities involving complex dependency needs. Jaccede signed a cooperation agrement with the Erasmus Student Network in March 2014 in the framework of their collaboration in the ExchangeAbility and Mapability project. AHEAD signed a cooperation agrement with the Erasmus Student Network in May 2014 in the framework of their collaboration in the ExchangeAbility and Mapability project. SEN is the biggest student organization in Chile. By joining our network you can meet students from Chile and around the world, participate in activities, trips and parties that will make your experience in Chile unforgettable. POLITICO is a global nonpartisan politics and policy news organization, headquartered in Washington, D.C. In April 2015, a European edition of the publication launched through a joint venture with the leading digital publisher in Europe, Axel Springer. Based in Brussels, POLITICO's European edition covers the politics, policy and personalities of Europe. With reporting assets in key national capitals, the publication truly connects the dots between Europe’s biggest power players. Its journalism lives online at Politico.eu; in print via a weekly newspaper distributed to more than 20,000 readers in Brussels, London, Paris, Berlin, Frankfurt and Luxembourg; in daily morning newsletters, such as Ryan Heath's Brussels Playbook and POLITICO Brexit Files; in POLITICO Pro, the real-time policy news service; and through news-making events. In 2016, an annual ComRes/Burson-Marsteller survey ranked the European edition of POLITICO as the #1 most-read publication by EU influencers. POLITICO is emerging on the European media scene with over 60 journalists representing 22 nationalities and 14 languages.